Cochin (or Kochi in Malayalam) is the only true Kerala city, in the fast-urbanizing state. That does not however mean that the city has discarded modernity. There are all kinds of modern food varieties available in Cochin such as Chinese, Italian, traditional Kerala, North Indian and whatever you can name of. We did a tour to the nooks and corners of this city to bring some of the oldest restaurants serving delicacies in Cochin. So, presenting some restaurants that has become a part of Cochin’s food culture and they have stayed on top of their trade for many decades now. Bharath Coffee House: No one really knows the exact when this calm vegetarian eatery situated on the busy Broadway was established. The best estimate is: it was started during World War-I, which is certified by the plaque in Louis Hall of the restaurant. 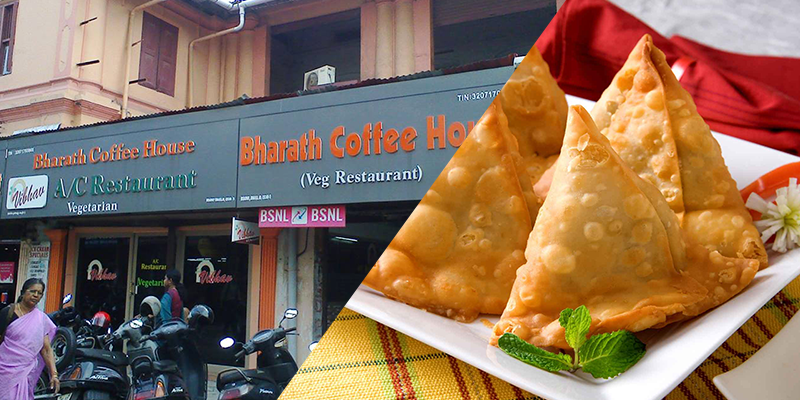 Well known for offering a diverse range of South Indian vegetarian food from Idli, Dosa to Chapatti and Poori, Bharath Coffee House is also well known for delicious snacks items such as North Indian Samosa and Kerala’s own Ada. This famous eatery is situated 3 km from Ernakulam Junction railway station. Hotel Kayikkas: If you prefer non-veg food, then Hotel Kayikkas is your destination. It is the oldest non-veg eatery in the city. Kayikkas has achieved an iconic status for their Biryani, and Chicken Biryani to be exact. 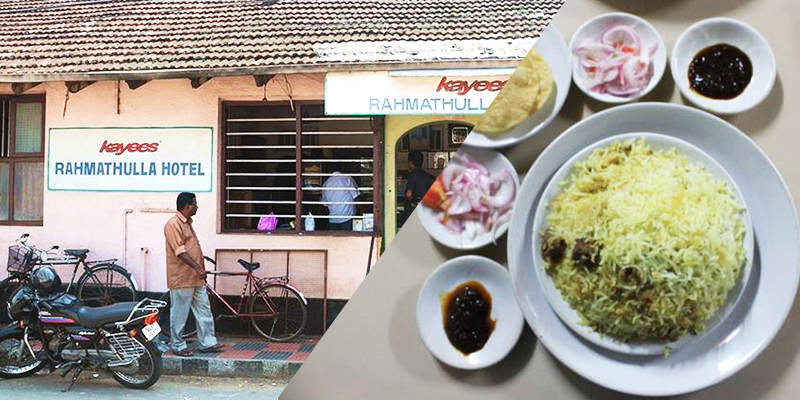 Their biryani is so popular across Kerala, that there are small outlets even in small towns. Though, the main branch lies in Mattanchery, a nearby island to Cochin. The Cochin old timers narrate that the restaurant was formed as a small outlet soon after India’s independence and has risen to fame ever since. Over the years, no one has really understood the secret recipe to their biryani, which draws people over and over again to this restaurant. This restaurant is about 11 km from Ernakulam Junction railway station. Bharat Hotel (BTH): Formed in 1964, this restaurant has become a cultural heritage of the city. 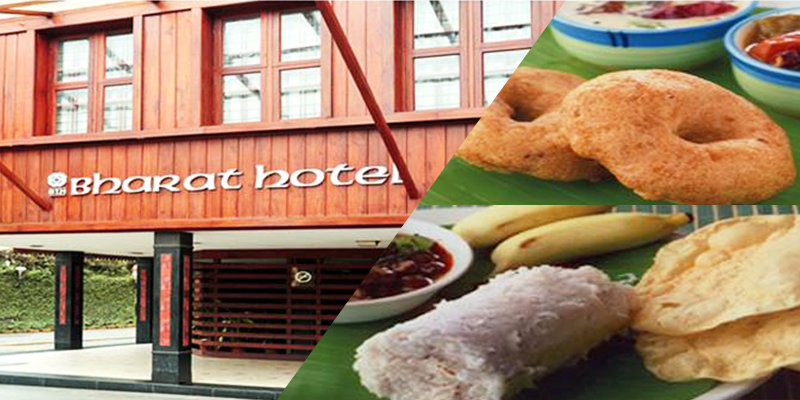 Bharat Hotel or BTH (as it is popularly called) is situated in Subhash Park on the banks of Cochin backwaters. The restaurant serves high class vegetarian dishes, apart from the ambience and service that ooze aristocracy. The cocktails, tea and Bombay chats, apart from other vegetarian dishes are very delicious. While at Bharat Hotel, if you are lucky enough, you might bump into a Malayalam film personality or politician. The restaurant is situated some 8 km from Ernakulam Junction railway station. Hotel Colombo: The banner in front of this restaurant reads: “Traditional Taste for the New Generation”, which means you can get traditional Malayali dishes with a touch of modernity. Established in 1952, no one is quite sure about Sri Lankan connection of this restaurant’s name. 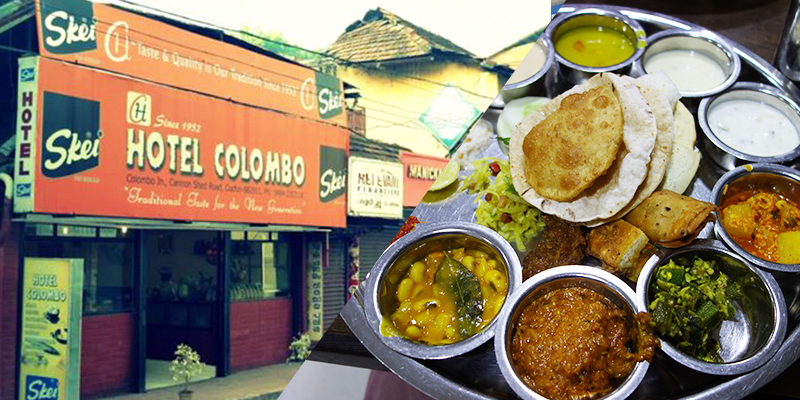 Some localities feel that the eatery might have been formed by a Ceylonese immigrant and thus the name – Hotel Colombo. Kerala is well known for its fish curry, and you get the finest at this place. Apart from this, also try the Shevermas, Kebabs and other Arabian food while at Hotel Colombo. 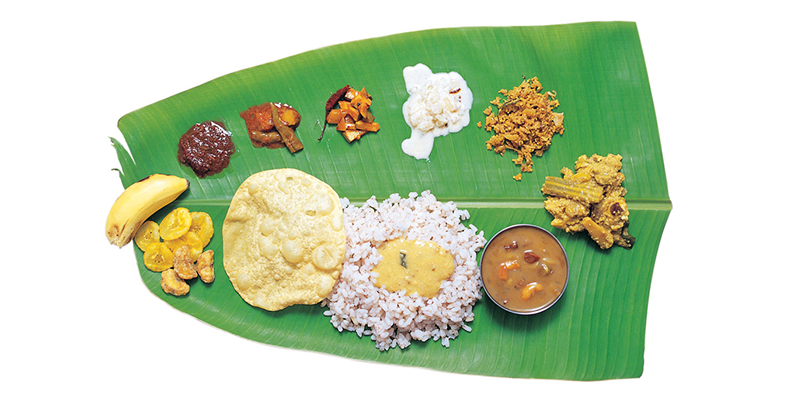 The restaurant is situated at 2 km from Ernakulam Junction railway station at Cannon Shed Road. 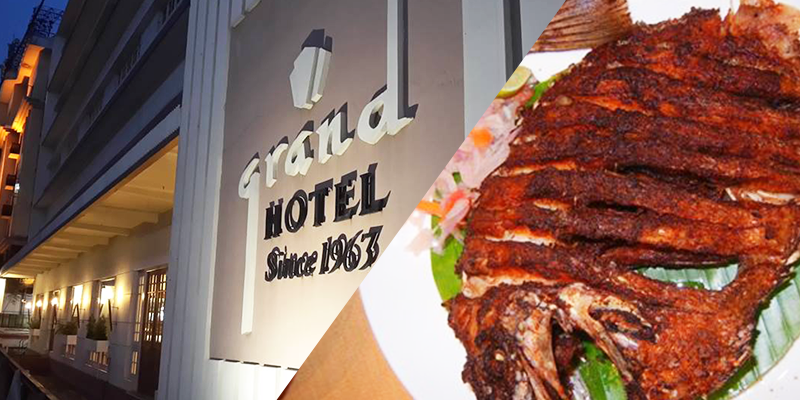 Grand Hotel: Every food aficionado in Cochin agrees that Grand Hotel serves the best food in the city. Established in 1963, the restaurant offers rich varieties of vegetarian and non-vegetarian food – from traditional Kerala cuisine, fish curries to Syrian and Mughalai dishes, everything is available at this famous restaurant. Karimeen Pollichathu, Creme Caramel, Fish Biryani and Nadan Sadya are some of the must-try items at this eatery. Grand Hotel is located within 700 m of the Ernakulam Junction railway station. Previous articleIndia’s iconic sagas that BRIDGES the gaps! Yummy! Specially the Biryani place!